The Chiang Mai Zoo is AWESOME!!! The Chiang Mai Zoo is, AWESOME!! One of the best zoos I've ever been too. This is including zoos in just about every country we've been. Right up there with the San Diego Zoo. What makes this zoo so incredible is the up close and personal experience you get with all the animals. Of course, you are not cuddling with bears or kissing lions, but you get to feed and sometimes touch a lot of the animals. There is very little separation between you and the animals. Being from the US I'm used to 10 layers of separation. Safety fence, plus safety glass, plus safety moat, plus safety whatever. At the Chiang Mai zoo you are so close to the animals you get to hand feed them. Giraffes would eat long grass and bananas out of your hand while the ostrich tried getting in on the action. 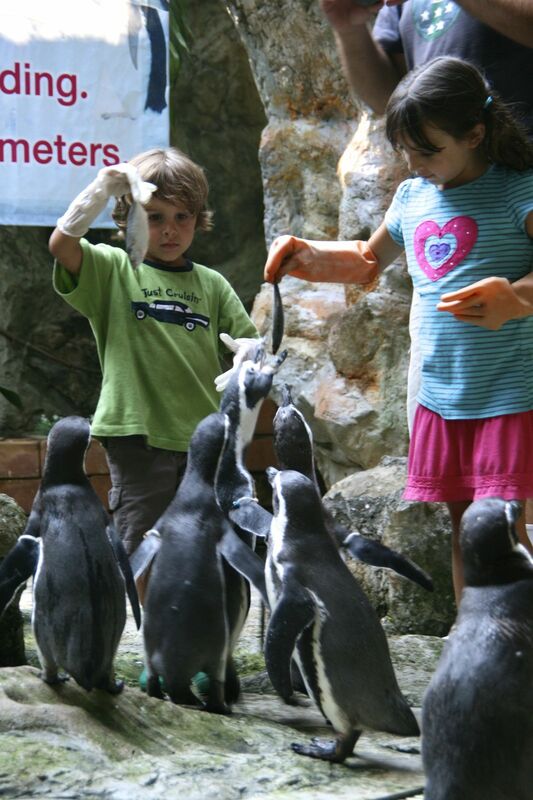 Our kids got into the penguin enclosure and hand feed them fish. We got to feed the flamingos, deer, elephants and a bunch of other animals. We even feed the hippos and rhinos although there was a bit of separation and no hand feeding just throwing in their mouths. And we used a long pole to feed the leopards steak. Of course, to feeding the animals costs about 20 baht which can really add up, but it's worth every penny! The kids got a once in a lifetime experience feeding all the animals and had an amazing time. Entrance fee is 100 baht for adults and 50 baht for kids, can you say bargain? The cost of feeding animals at the zoo get expensive. Allowing the public to pay for food and feed the animals helps to subsidize the cost. Or at least that is what I'm guessing. Pretty smart! What is your best zoo experience?